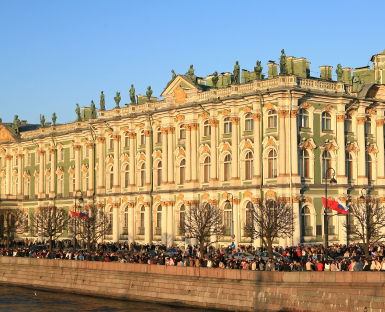 I would like to enthusiastically apply for a job as cat wrangler at the Hermitage Museum in St. Petersburg, Russia. Only recently did I learn of the formidable feline population at the Museum and of your efforts to care for them, and I would love to be a part of such a worthy endeavor. I have always loved cats, and creatures that dwell in unconventional structures. I have a pet cat of my own, Slash, who, no doubt, would be right at home in The Hermitage, even possibly becoming a ringleader of one of the many factions within the museum population (a benevolent leader, of course.) Aside from being a cat owner myself, I have worked in the past with autistic children and therefore am good interacting with small, unpredictable forces of energy. I am hardworking, intelligent, and greatly enjoy solitary work –– all things considered, I can see no position I am better suited for. I do not, as of this moment, live in Russia, nor do I speak any Russian, but I am willing to relocate for this job and greatly enjoy learning new languages. I have one friend high up in the Russian government, who would be glad to vouch for me. Also, please do check out the YouTube Video, “Henri 2: Paw de Deux,” which has been making the rounds here in the States. This entry was posted on April 18, 2012 at 7:16 pm and is filed under Conspiracy Theories, I Hate Writing, Image Craving, Things I Love That I Go to Inappropriate Lengths to Track Down. You can follow any responses to this entry through the RSS 2.0 feed. You can leave a response, or trackback from your own site.